> Okay, the 1-series was never going to win any beauty contests. Not with those gawking headlamps, awkward proportions and tight-fisted accommodation. But those challenging looks disguise a rubber-roasting hot-rod. It may look like a warmed-over derv hatch but it’s fast enough to waggle its matronly arse at a 911. > The M135i is defined by that turbocharged straight-six. It swings with a jaw-breaking punch – 316bhp comes in at a leisurely 5800rpm, with 332lb ft of torque at just 1300rpm. Driving the rear wheels via a precise six-speed manual, it hits 62mph in 5.1sec and 155mph. > It has the hardware to exploit all that bicep: Variable Sports Steering, uprated springs and dampers for the front strut and multi-link rear suspension, blue calipered dustbin-lid brake discs. Despite lack of slippy rear diff, there’s loads of mechanical grip. > With its cheap plastics the M135’s cabin is more Ibiza rental than driver zone. But it’s well-equipped, the driving position is spot on, and all the bits you touch fizz with feedback. 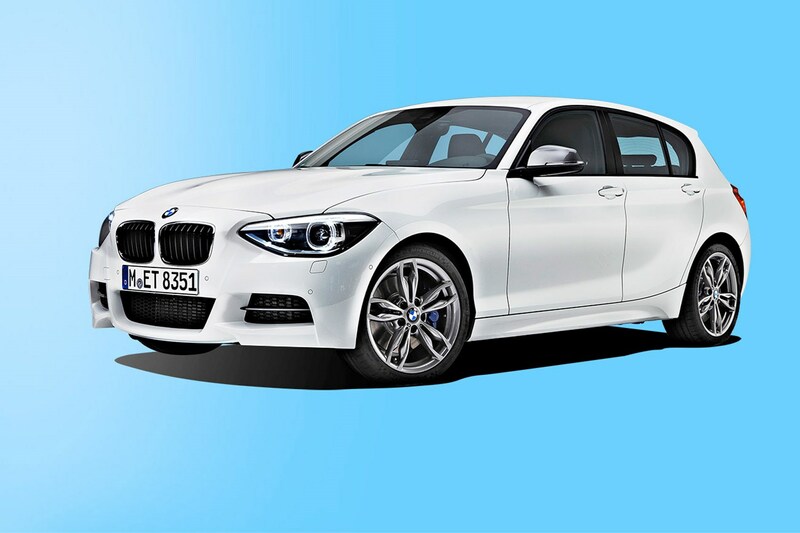 So, for the price of a new 116d you can have BMW’s best 1-series hatch.